Innovators is an annual award program celebrating customers who leverage the Hearsay platform to innovate, delight and provide value to their clients. 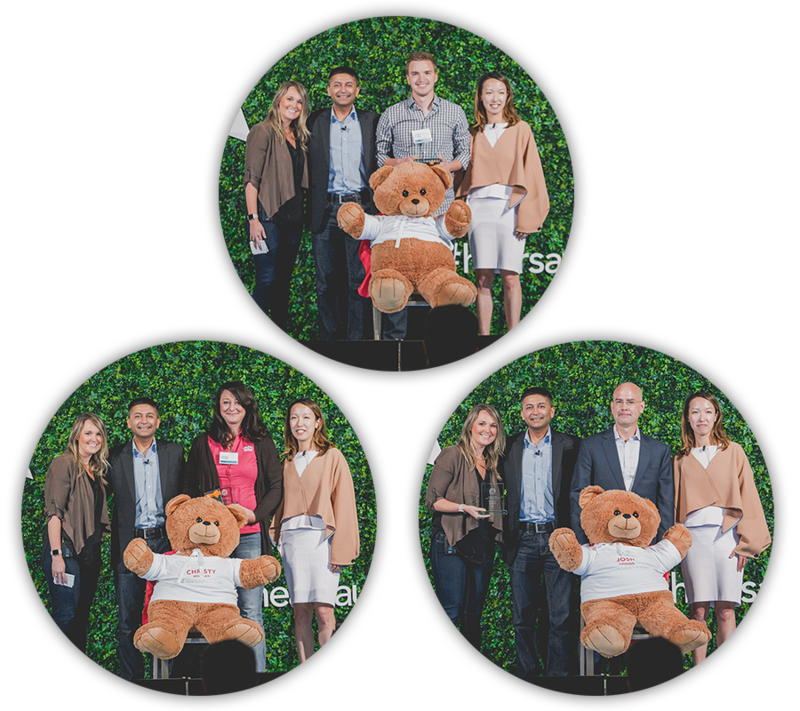 Winners will be recognized by industry peers and leaders at Hearsay Summit Main Stage. Best Strategies for Driving Adoption: Recognizing the Innovator who has seamlessly and effectively deployed Hearsay to their field agent/advisor teams, employing creative strategies to increase the number of program users, the frequency of program assets leveraged and meaningful ways to measure success. Greatest Productivity Gains: Recognizing the Innovator who has provided their field agents/advisors with greater efficiencies, driving better business results and increasing client transparency. Transforming the Enterprise: Recognizing the Innovator has leveraged multiple Hearsay products to effectively lead their organization through change management while transforming the client experience. Top Digital Performer: Customer admins nominating and recognizing the agent or advisor who has leveraged Hearsay’s technology to transform their role in client engagement by using integrated compliant digital technologies, including social media, text messaging/mobile calling, website, email and CRM activity. Nominate yourself or a peer now! Nominations will be accepted until March 15th, 2019. Category winners will be selected by a panel of judges based on the creativity, impact and business value of their Hearsay use case. What do Hearsay Innovators receive? Start the nomination process now!